Pleomorphic adenoma is the most common benign tumor of the salivary glands. It arises mainly from the parotid, less frequently from the minor salivary glands of the oral cavity and, exceptionally, from the accessory glands widespread in the upper aero-digestive tract. 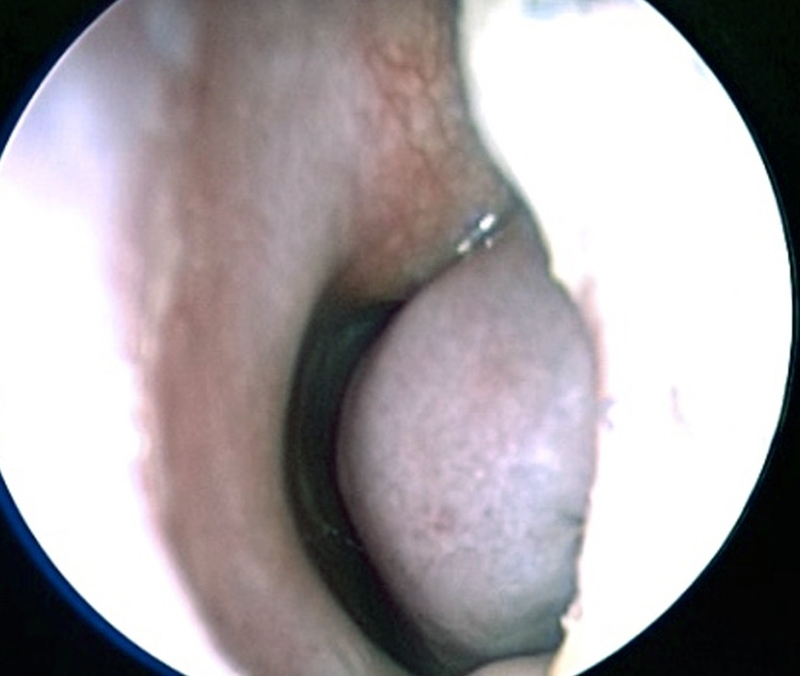 Intranasal localization is rare and mainly affects the glands sited in the nasal septal mucosa. There are isolated case reports in literature regarding adult patients. We report a rare case of a young 14-year-old girl with pleomorphic adenoma arising from the nasal septum.